The 2020 Olympic individual time trial events will take place against the backdrop of Mount Fuji. The organizing committee and international cycling federation (UCI) on Wednesday confirmed the route, as well as the Paralympic cycling road race, individual time trial and team relay events. Cyclists will start and end at the Fuji Speedway motor racing circuit at the foot of the famous mountain. The men’s individual time trial course is about 44.2km – two laps of 22.1km – while the women’s course is one lap. It features many gradients and downhill sections, with an elevation gain of 423 meters over one lap. 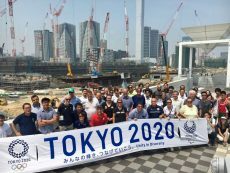 With today’s announcement, Tokyo 2020 CEO Toshiro Muto said all cycling road courses for the Games had now been finalized, following approval of the cycling road courses in August. 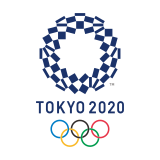 David Lappartient, president of cycling’s world governing body, said the Olympic and Paralympic courses were designed in close collaboration with Tokyo 2020 chiefs. “The combination of the stunning scenery of the Mount Fuji region and the stern challenge that the Olympic and Paralympic courses will provide will deliver a fantastic spectacle for cycling fans in Japan and across the world,” he said. 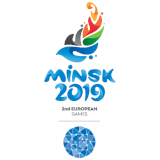 Russia, Switzerland and Colombia claimed the first cycling medals of the Youth Olympics in Buenos Aires in the mixed team BMX racing competition. Cycling is present on the YOG program with BMX Racing, BMX Freestyle and a mixed road/mountain bike cross country event. Cycling action continues at the Games in Buenos Aires today and Thursday with BMX Freestyle, one of four sports making their Olympic debut.